Alexandria is home to over 45,000 residents and in the exact geographic center of the state of Louisiana. There are many effective advertising opportunities throughout the city including the many cultural events hosted by the city. Notable events where out-of-home advertisements can be utilized are Mardi Gras, Cenlabration, and RiverFest. Target your audience with outdoor billboards or other outdoor advertisements near the Alexandria Museum of Art and the Louisiana History Museum. The major roadways that service the city also provide billboard possibilities. 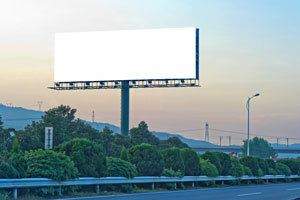 Billboards on I-49 would generate high traffic exposure of your business.